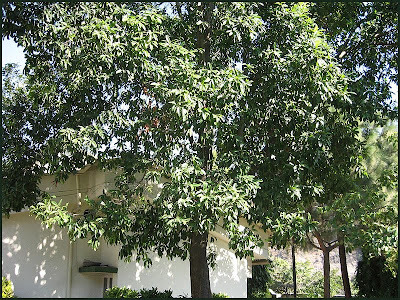 is a large evergreen broad-leaved tree whose seed is traditionally used for prayer beads in Hinduism. The seed is borne by several species of Elaeocarpus, with E. ganitrus being the principal species used in the making of a bead chain or mala. 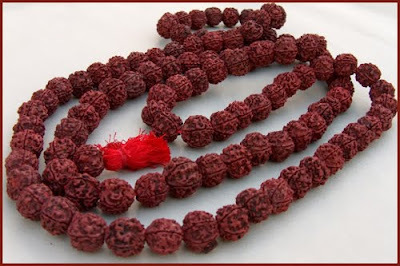 Rudraksha is a Sanskrit compound consisting of the name Rudra ("Shiva") and akṣha ("eyes").The specific epithet ganitrus is possibly taken from ganitri, the name for this species in Sundanese and Malay. has been used by Hindus (as well as Sikhs and Buddhists) as rosary at least from the 10th century onwards for meditation purposes and to sanctify the mind, body and soul. The word Rudraksha is derived from Rudra (Shiva—the Hindu God of all living creatures) and aksha (eyes). One Hindu legend says that once Lord Shiva opened His eyes after a long period yogic meditation, because of extreme fulfillment He shed out a tear. This single tear from Shiva’s eye grew into the Rudraksha tree. Rudraksha fruit is blue in color but turns black when dried. 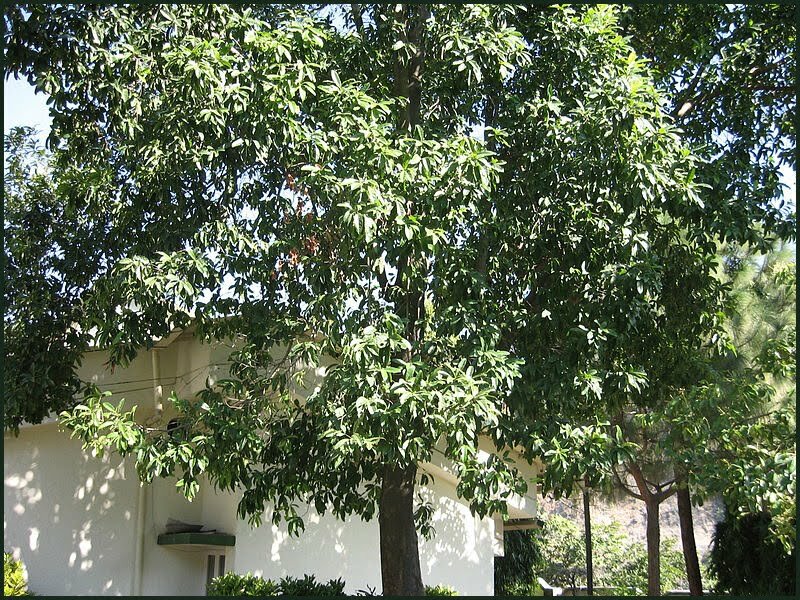 The central hard Rudraksha uni-seed has 1 to 108 faces and 2 to 21 faces Rudraksha are available, 1 faced Rudraksha is scarcely available, Rudraksha having 22 to 108 are almost extinct, there are claims that 22 to 108 faced Rudraksha plants still survive at the foot hills of the Himalayas and Mansarovar regions, but man is yet to see them.